We will be EXPANDING the back issue stock with more modern books, more bronze books, more silver and even some great Golden Age comics that you won't find anywhere else! Formerly Ryan's Comics - after 9 years of running one slick looking shop, owner Ryan decided to move on to new ventures, and we're tickled pink to finally have a shop in California! We're in the 'mind our dust' stage right now, but will be announcing a GRAND RE-OPENING celebration for early next year once we've got everything settled. With years of comic book retail experience, Melodie knows how to run a bright, clean, well stocked store! 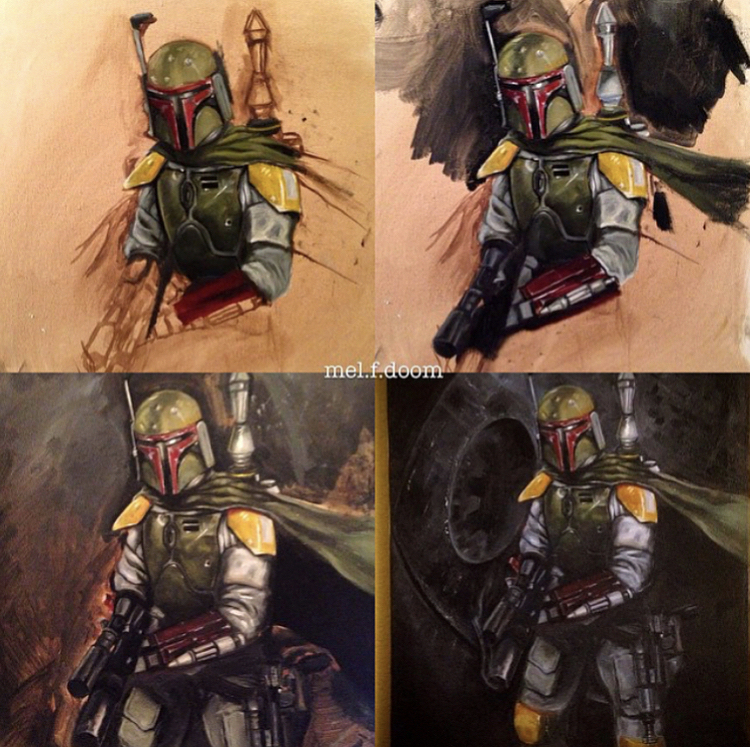 A former atelier art student, Melodie often paints the things she loves the most- Star Wars! Her upcoming projects include a painting to remember Golden Age Comic writer William Woolfolk for Alter Ego Magazine (May 2019) and another painting for Alter Ego Magazine featuring Captain Marvel (Release date TBD). Melodie enjoys reading, watching, and creating all things horror and sci-fi and is always up to talk about anything pop culture related. Stop by and say hello!